In a few weeks, I’ll be taking part in my first Artist Trading Card (ATC) event. If you haven’t heard of these, you create a number of 2.5″ x 3.5″ original art cards, and at the event trade your cards with other artists for their cards. In this way, you collect small art pieces from other artists. After I committed to participating, I had to decide what to put on these very small pieces of paper. The advice I received was to “just do what you do”. Well, lately what I usually do are detailed drawings with watercolour of favourite travel destinations and photos. Could I create a full street scene the size of a baseball card? Not without my light-magnifier! 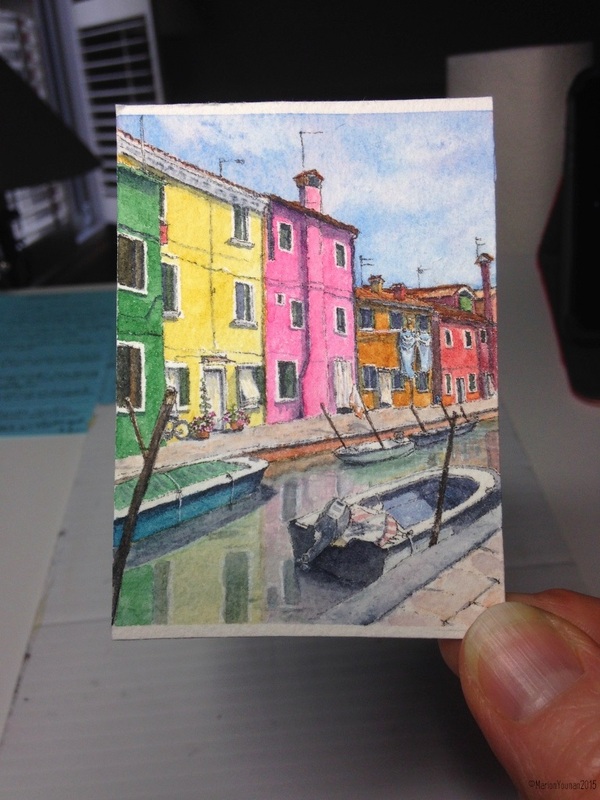 I sketched my first one and saw that it was possible, so I went on to sketch 6 cards of scenes from Burano. Then I needed a day to get over the persistent twitching that developed in my left eye! I started painting yesterday – this was also a little tricky. I don’t know how miniature artists like Lorraine Loots do this every day! It’s been a great exercise in teaching me something quite paradoxical – what’s elemental to capture but also how far can I go with detail. I’m finding out these trading card events are very popular and lots of fun. The one I’m going to is a fundraiser, so there’s a small entrance fee with proceeds going to a food bank. Super idea for a fundraiser. 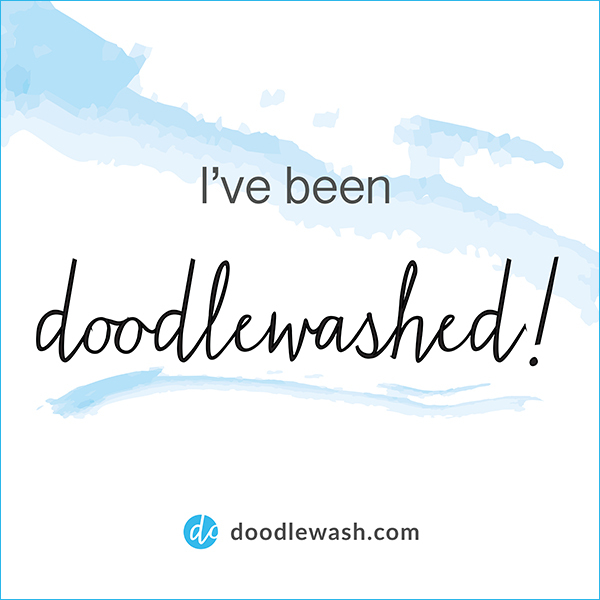 When I move to Florida I want to get involved with an art center there, and I will definitely recommend doing one – thanks!!! Lovely colours and this place! This place does inspire me to break out the paints! Although I was there only an afternoon, the vibrancy and charm of the place is very memorable. I was only there for an afternoon as well. I took as many photos as I could, knowing one day I’d sit down to paint those houses.